Blog Home › Digital Marketing › Search Engine Optimization › Are Organic Search Results Still Above the Fold? Once again, Google has altered the digital landscape. The recent announcement signals the end of paid text ads on the right-side in favor of four paid Google ads on top of the search results pages. This could have huge ramifications on a website’s paid and organic search performance. 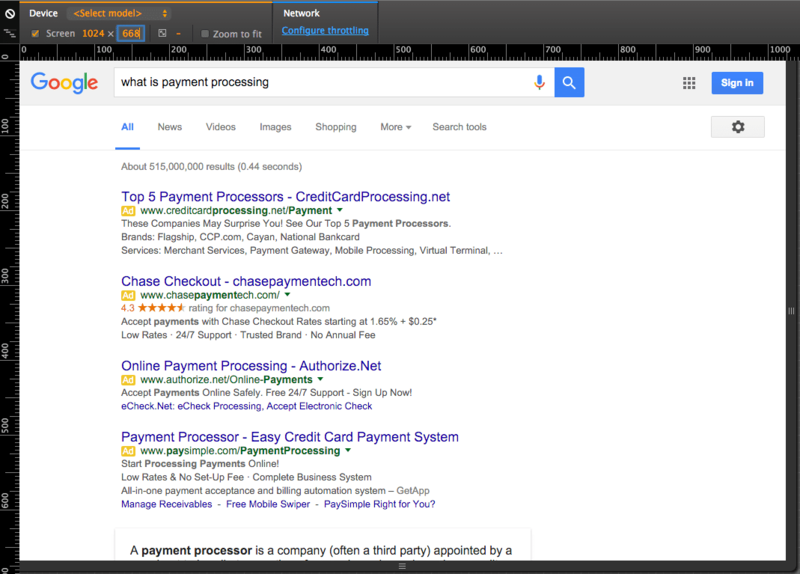 Not to mention the possible increases in Paid Search costs due to the increase in competition. But what about organic search results? 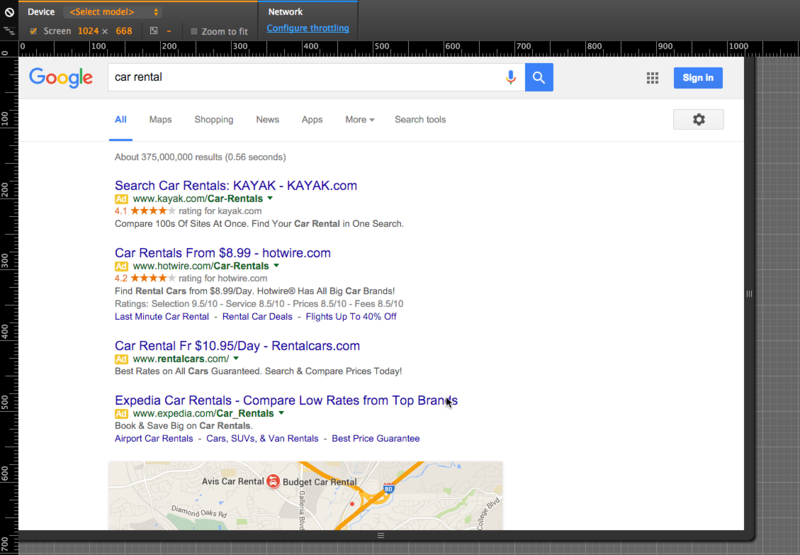 The inclusion of another ad at the top continues to push organic listings further below the fold. Many website owners and digital marketers are afraid that organic listings will soon be entirely below the fold and often invisible to the casual user unless they scroll down the page. We put organic search results to the test to see how far down the page organic listings have been pushed and what types of search results are visible for various screen resolutions. 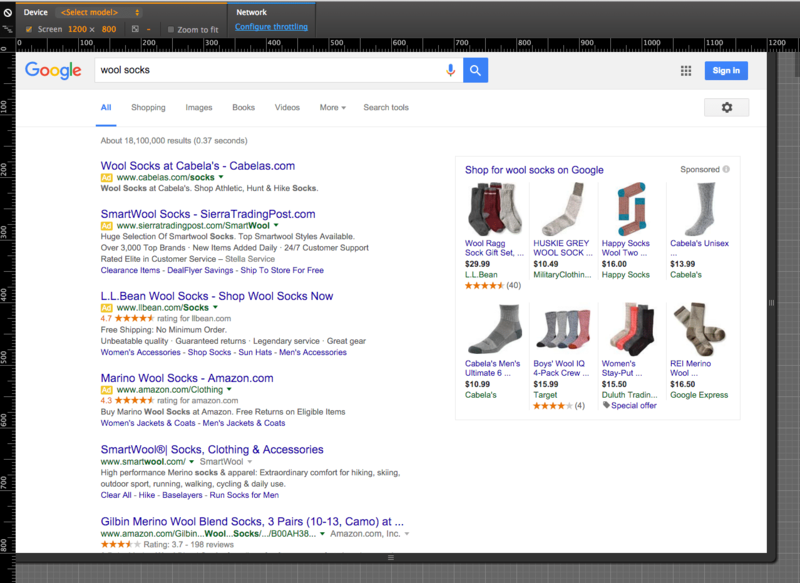 Are Organic Results Visible With Four Paid Search Ads? To start, we wanted to find out what screen resolution is most commonly used. To do this we aggregated data from more than 20 accounts, pulling in the Google Analytics dimension of screen resolution, along with session metrics. In total, more than 125M sessions were analyzed. The top 15 screen heights accounted for 87% of all sessions. 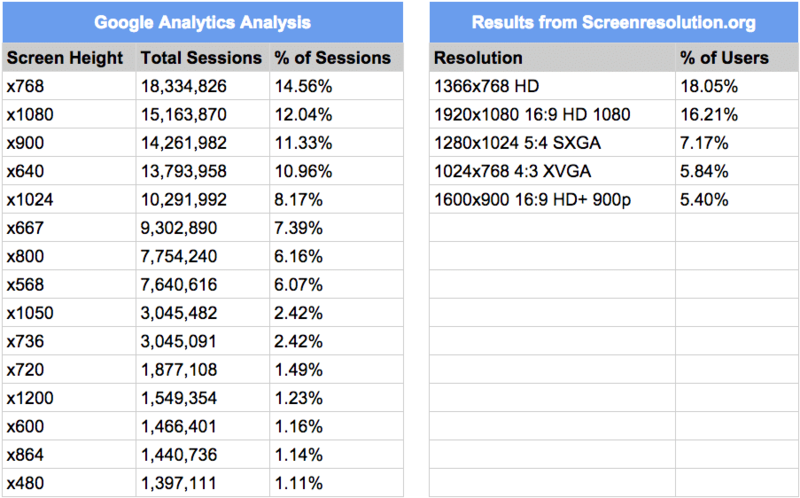 Screen heights beyond the top 15 accounted for less than 1% of total sessions. We also gathered results from Screenresolution.org to validate our findings. Mobile has a long history of organic search results appearing below the fold, so we’re focusing solely on how these changes affect desktop/laptop organic results. As the data indicates, there are a wide range of screen heights driving traffic to websites. Over 50% of user screen heights are < 900 pixels and still more than 45% of user screen heights are < 768 pixels. 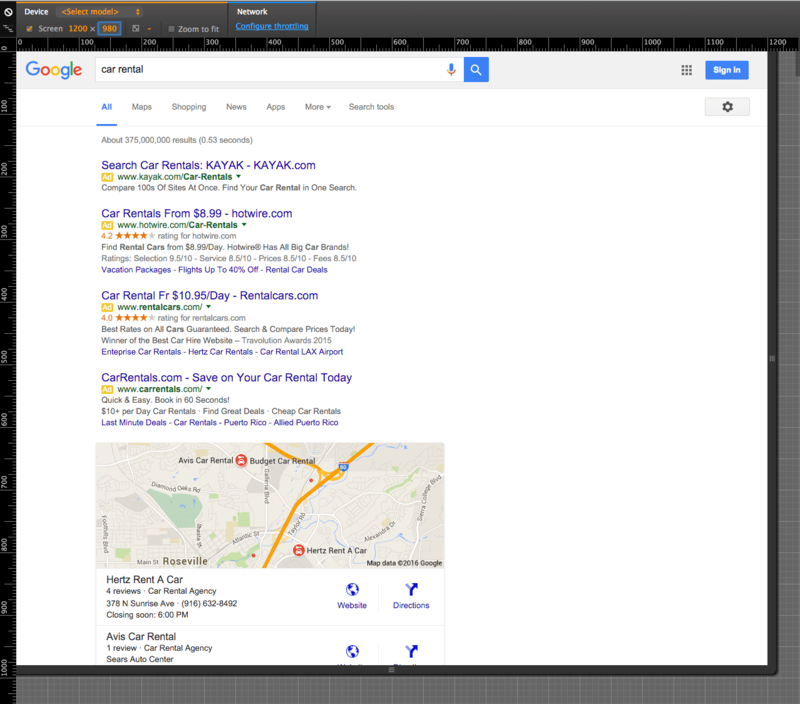 But what does each screen resolution look like in the organic search results, and how are they affected by the inclusion of a fourth ad? This is the most common screen resolution height with about 15% of users using this resolution and 55% of users with this resolution or larger. When four ads present, only title tag and URL of first organic result is present. No organic results visible. Only top portion of map for local results is visible. No organic results visible. 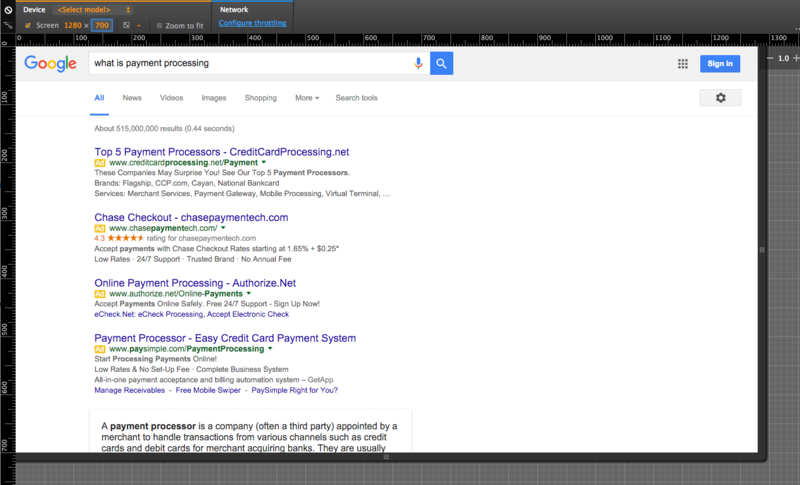 Only text portion of Google knowledge graph is visible. For a reference point, my Apple MacBook Pro 13″ laptop with 2560 by 1600 pixels equates to a 1280×800 8:5 WXGA screen resolution. Only first organic result is visible. No organic results visible. Only top portion of map for local results is visible. More of knowledge answer box is shown, but still no organic results visible. For a reference point, the Apple MacBook Air 13.3″ laptop that many people at Blast use has a default 1440×900 8:5 WSXGA screen resolution. First organic result is visible. 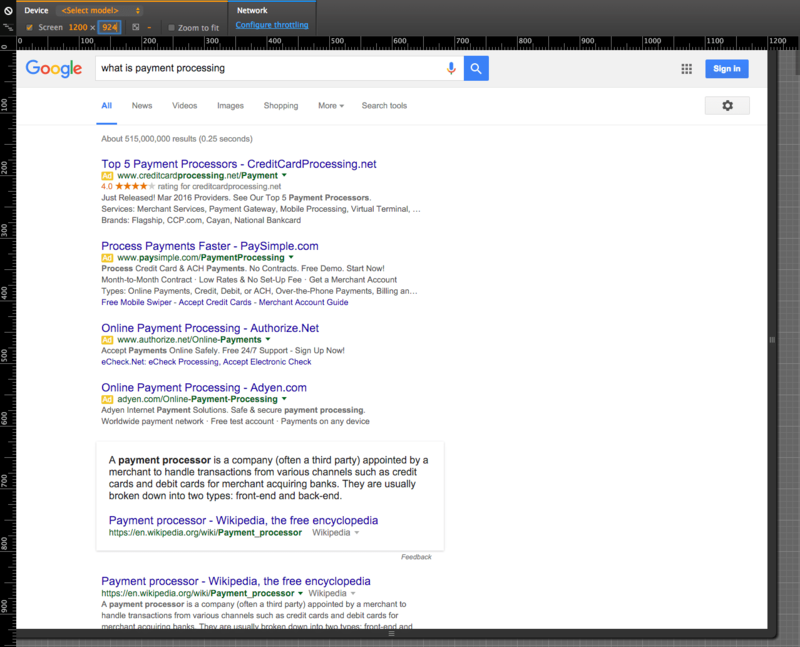 Title, URL, and beginning of meta description (or structured data) is now visible for second result. No organic results visible. Only top portion of map for local results is visible. No organic results. Complete knowledge answer box is visible with link to acknowledge where information originated. First and second organic results are completely shown. Third result now displays title, URL, and first line of description. Entire map is now visible along with first Google local listing. 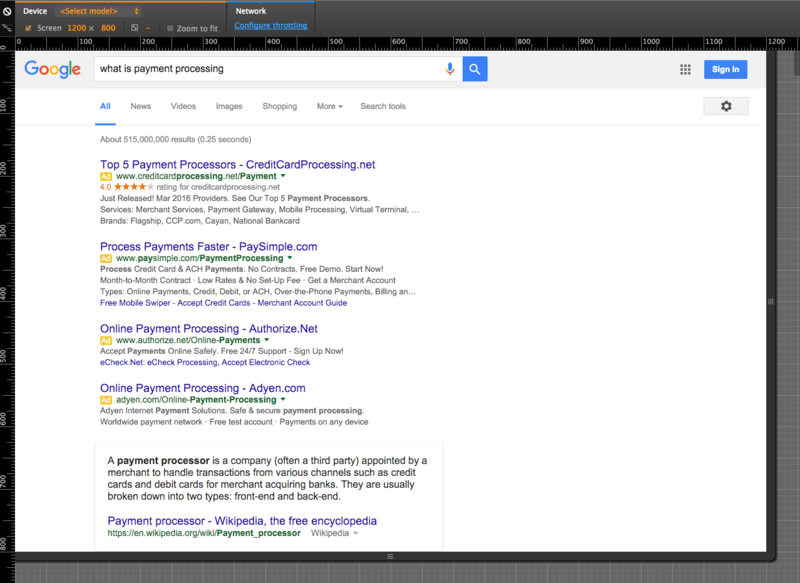 First organic result is now visible. Title, URL, and description are visible. 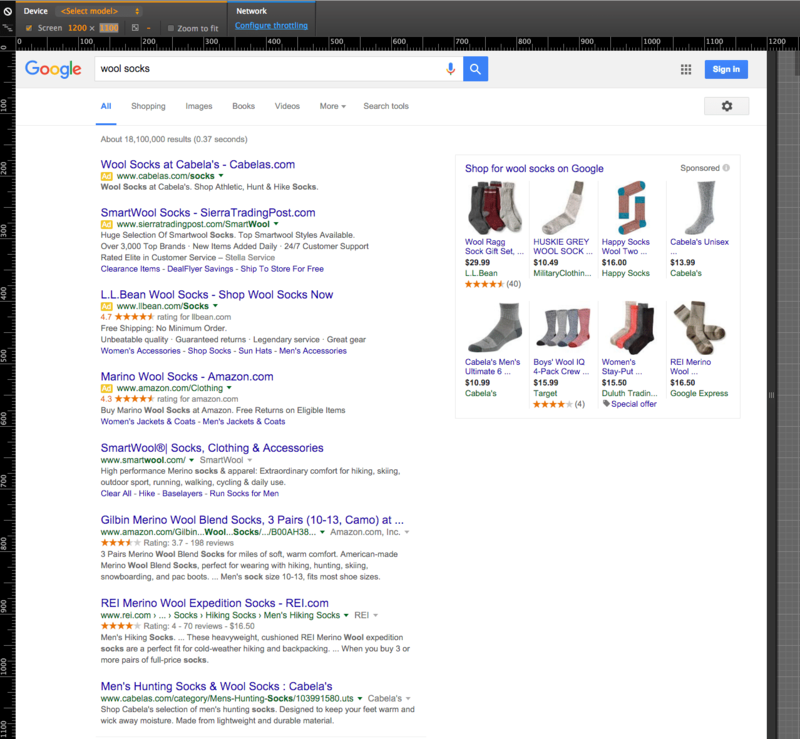 First three listings for organic results are completely visible. Entire map is visible along with the first two Google local listing results. First organic result is completely visible. Title tag of second result will be visible. 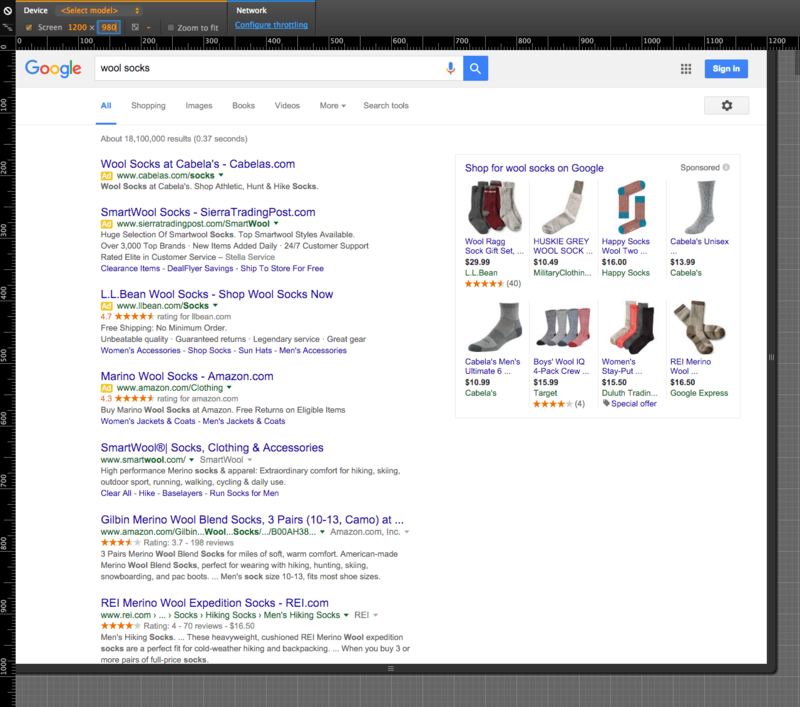 Top four organic results are all visible. Entire map is visible along with three local listings visible. 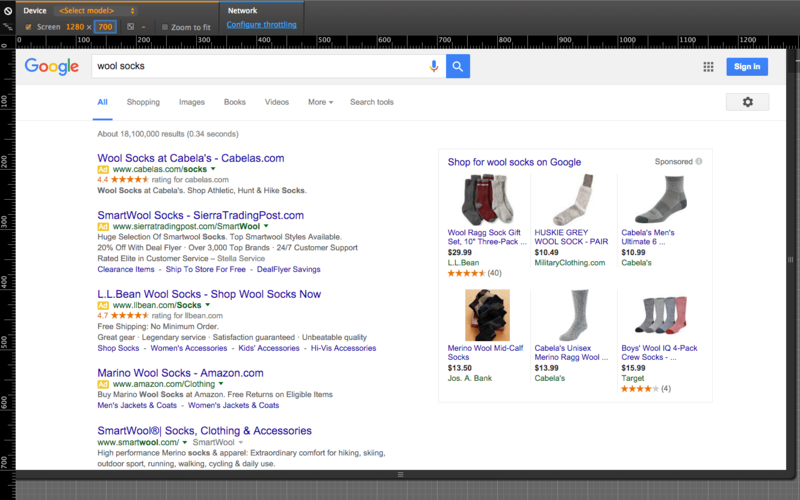 Top two organic listings are visible with title tag for third barely appearing. Being the top spot for organic when no local or knowledge graph answer box is present is likely to land your website above the fold. 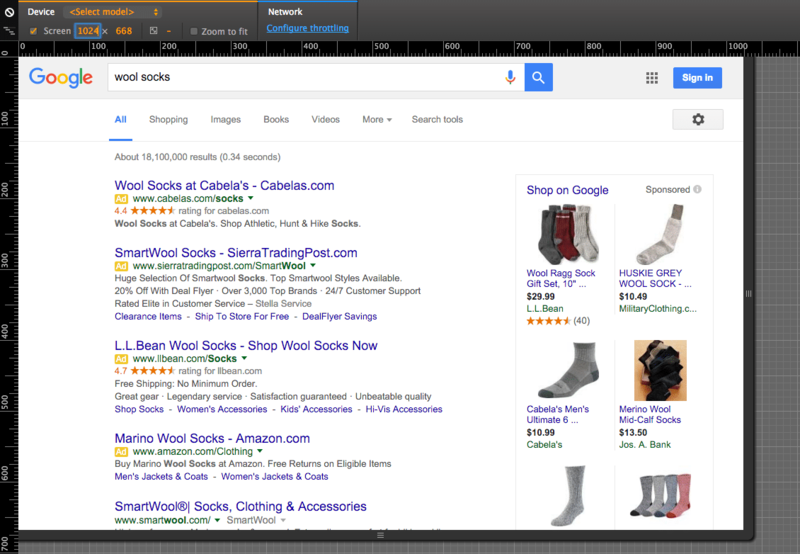 This puts a higher premium on the top spot for organic results. 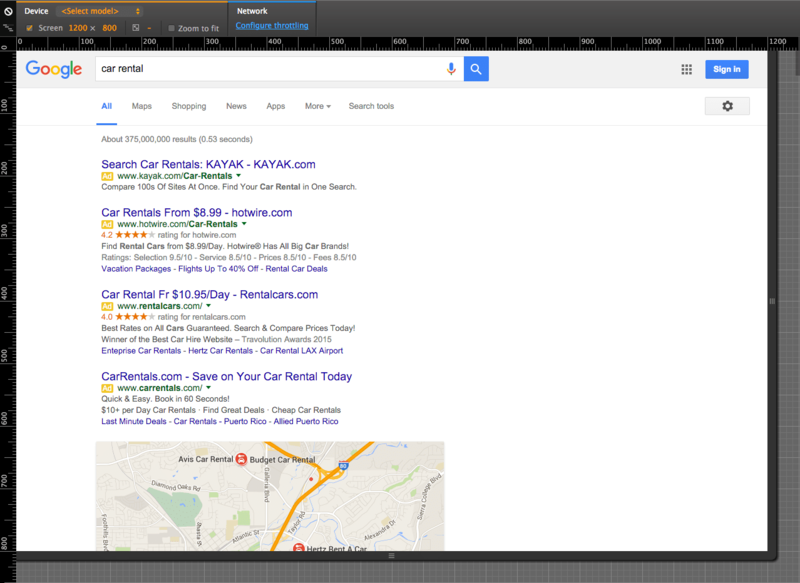 As the screen size increases, so does the number of organic results. As usual, having a listing in the top three organic spots is important for CTR, as the drop off rate from one to four is dramatic. In terms of visibility, being below fourth will likely result in no visibility above the fold, significantly decreasing your CTR. Knowledge answer boxes have been showing up for a variety of queries. They are no longer restricted to awareness and interest queries; they also have been showing up for queries later in the customer journey, such as the decision stage. 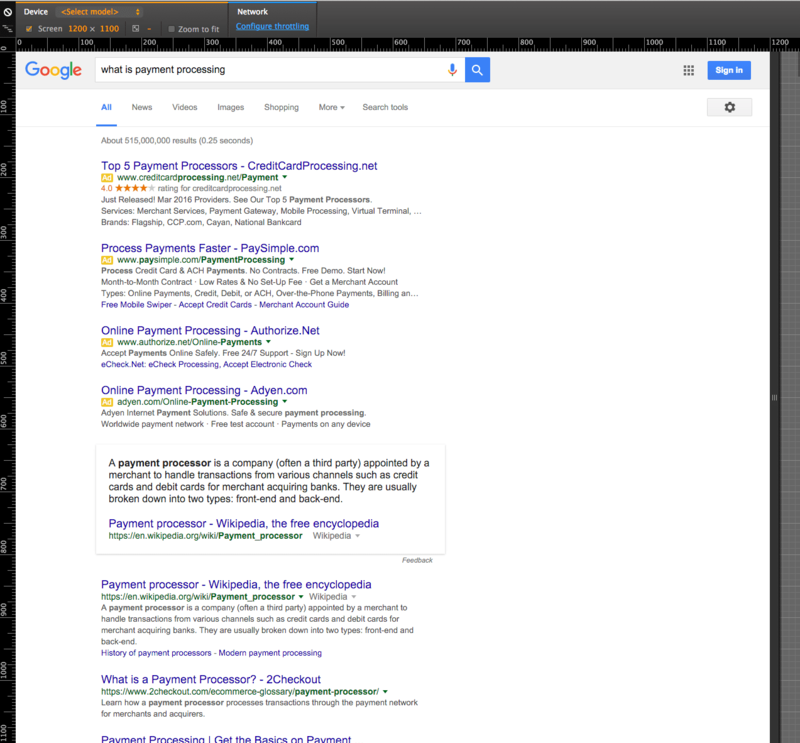 For smaller screen sizes (x900 and below), the first Organic result is not visible, however the answer box was. For websites that have the authority and valuable content, obtaining an answer box on a SERP can become priceless SERP real estate. For commercialized localized queries, if you’re not optimized for local or bidding on terms via Paid Search, then you will see low CTR rates and, consequently, little traffic. 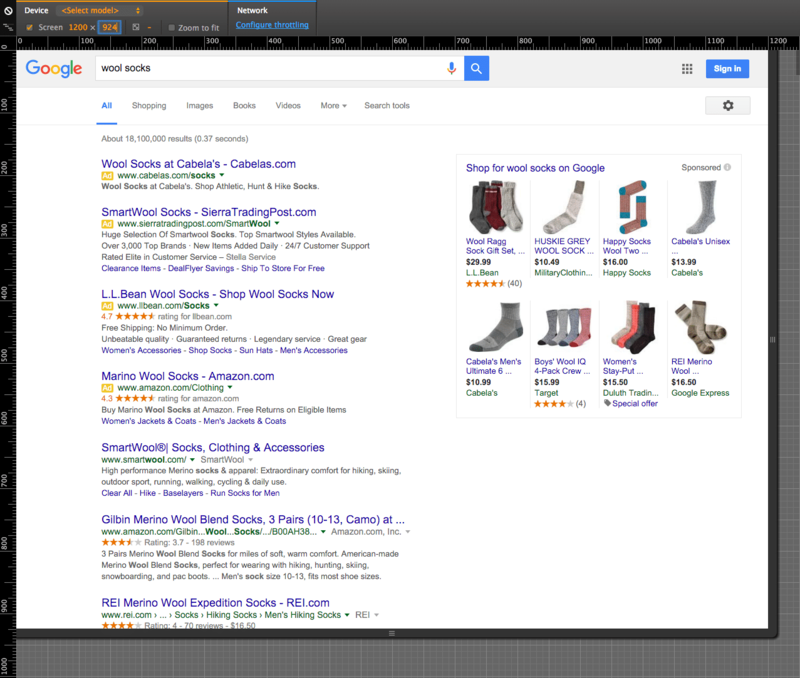 The first organic result saw no visibility for all screen sizes. 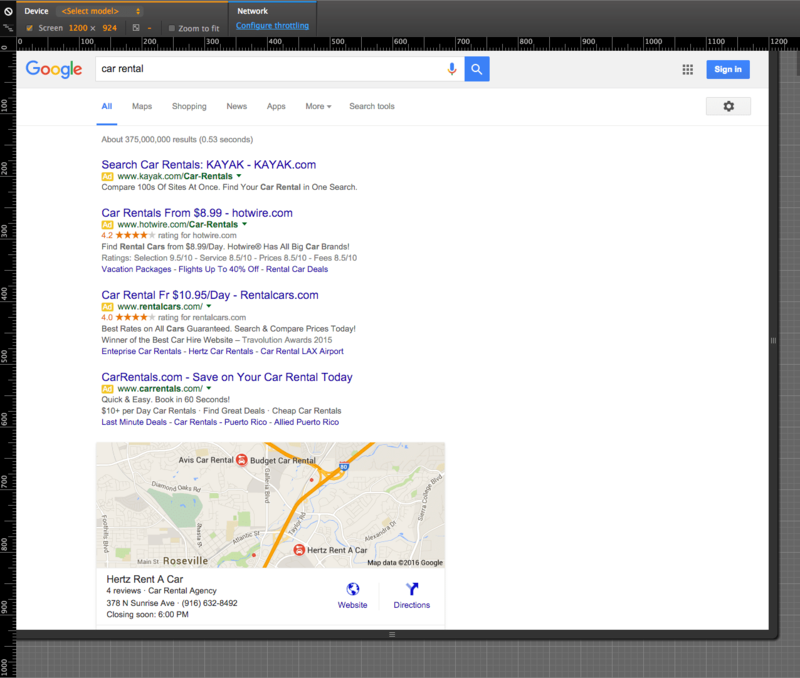 However, local organic search results did see visibility with screen sizes x1024 or greater. As Google aims to provide users with relevant results, the emphasis on local will increase. If your SEO optimization plan doesn’t include a local search strategy, contact Blast to learn about our local search consulting services. Which browser is being used? Is the browser window completely stretched from top to bottom? Are bars for bookmarks, URL, and other widgets pushing the screen down? How big and where is the menu bar for the operating system? To keep things simple, we subtracted 100 pixels from each measurement to accommodate for these various factors. Actual available screen size could be more or less than this estimate. How Will Organic Click-Thru-Rates Be Affected? Google search results present an ever-changing landscape. The “four-pack” ad listing will have an impact on your digital marketing strategy, as roughly only 27% of users are only going to see the top listing on organic results. Advanced Web Ranking (AWR) has a tool to look at the CTR of various search configurations. The findings from December 2015 show that the inclusion of Paid Ads and addition of Paid Ads decreases the CTR of organic positions. 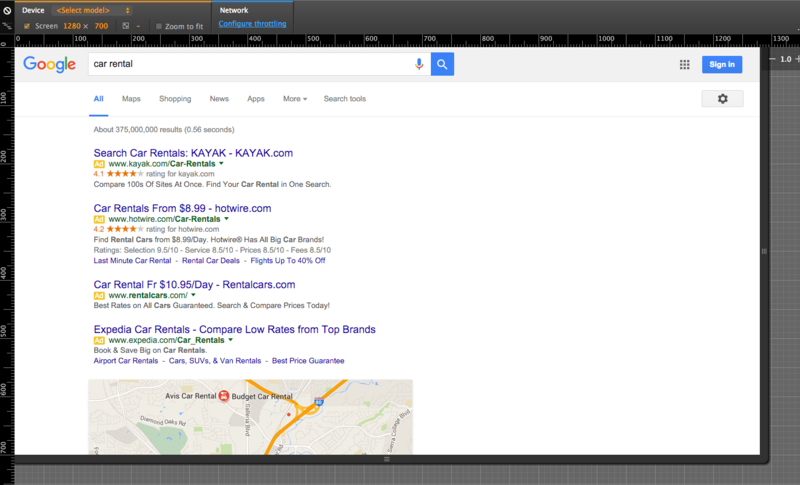 The inclusion of additional ads at the top significantly affects organic CTR. Most concerning is that 45% of users use less than x768 screen resolution and they will no longer see any organic results when 4 paid search ads are shown. If the results of a fourth ad are similar to that of a search result with three ads, the number one organic search result will likely see a reduction of CTR of 55% or greater compared to an organic listing with no Paid Ads. If we use the above results and now expect the top organic spot to perform like the previous second position, the top position could expect to see a 16% decrease in CTR from 14.1% to 11.8%. For listings further down on the page (5-10), the loss is less noticeable, and a loss in traffic is likely to go unnoticed. For websites in this range, the inclusion of a fourth ad at the top may help increase traffic if they are willing to compete in the Paid Search market. Short-term gains in Paid Search could help increase resources to build out organic and social footprints to increase overall visibility. What Search Queries are Most at Risk? If your business has typically focused on the bottom of the funnel, the decision stage, versus the entire customer journey, you’ll likely be impacted by this change. Commercial, decision stage queries are the most at risk. That’s because commercial (vs. general awareness) queries will generate more four-pack ads, which pushes organic search results off the page the most. Combined with the fact that there are no barriers to enter the paid search space other than budget, your competitors will likely increase their paid search marketing budget to improve their decision stage search visibility. If you’ve only focused on the decision stage of the customer journey, these recent changes are likely to affect your website’s performance. These changes only cement the need for a holistic approach to developing content and resources that address the needs of your customers throughout their customer journey. When you create content to meet the demands of your user and use all channels (SEO, PPC, Social, Email, etc), you create a healthy ecosystem that is able to sustain and thrive, even when large unanticipated changes occur within individual marketing channels. If you’re unsure how to develop a marketing strategy that addresses all stages of the customer journey across digital marketing channels, contact Blast to learn how we can help. Before you move on to something else; are you curious to learn more about the specific impacts on paid search? 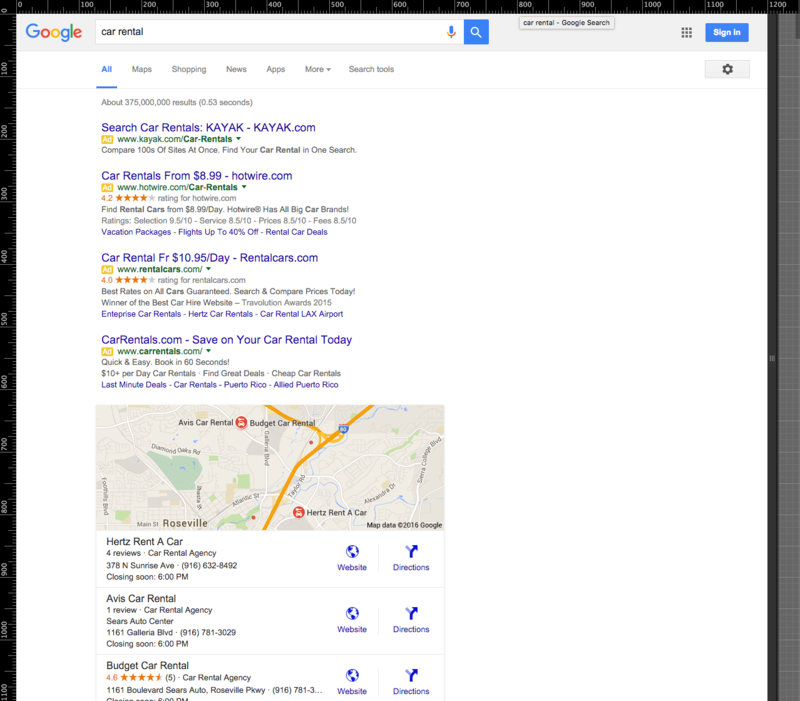 Wordstream put together an insightful post on the early impacts of the new Google SERP without right-side ads. 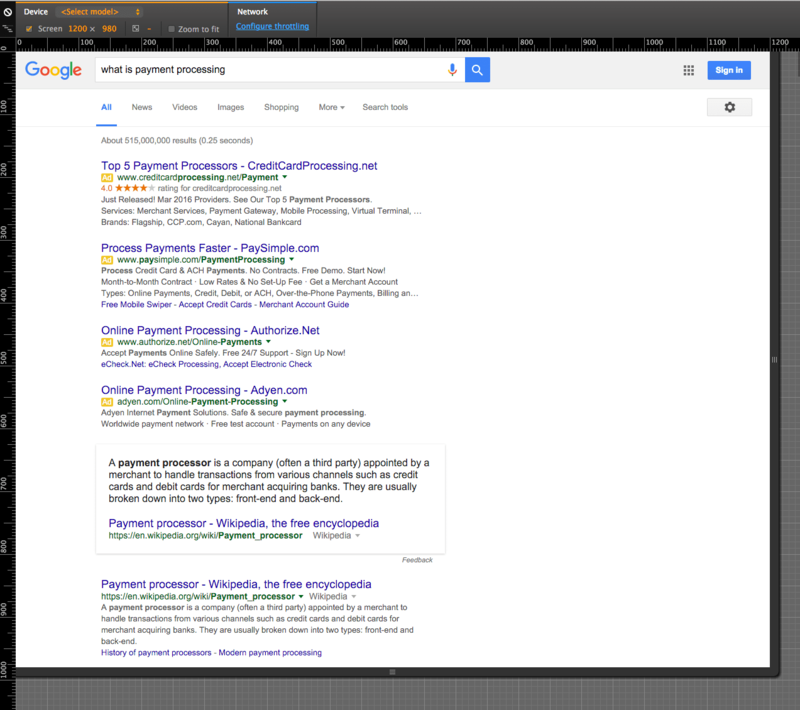 The surprising early winner of the SERP Change: Position 3 paid search ads. Don’t Put Your Eggs in One Basket! Relying on only one search marketing channel sets your business up for failure if that channel suddenly runs dry. The changes in SERPs continue to remind us that a healthy website operates efficiently across multiple marketing channels. 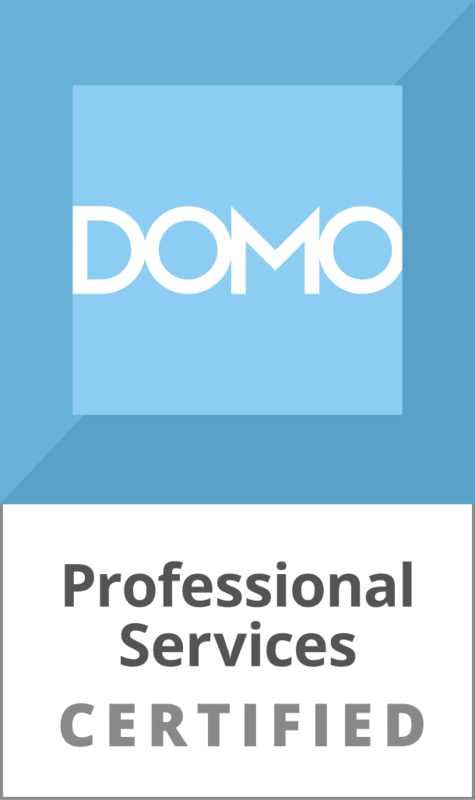 At a minimum, hopefully we have helped you understand the importance of constantly analyzing how SEO and PPC search results are working together to ensure sustainable search performance. Please leave a comment below to share the impacts you see on your organic, local, or paid search performance. Also, post any questions you have about the impacts of Google’s SERP changes that removed the right-side ads, or the solutions to employ to ensure you have sustainable search engine performance. Jesse is a Marketing Analyst at Blast Analytics and Marketing. He digs deep to understand the root of problems and develops sustainable solutions that work for now and the future. Jesse Teske has written 1 posts on the Web Analytics Blog.